Brazil’s Vale (NYSE:VALE), the world’s No.1 iron ore miner, logged Thursday net income for the first quarter that missed estimates, reflecting the impact of heavy rains that hampered output in the so-called northern system, which groups the Carajás, Serra Leste and S11D mines in northern Brazil, as well rising financial expenses. The Rio de Janeiro-based company reported a net income of $2.5 billion, no less than a billion off the average consensus estimate of $3.325bn in profit. It was, however, the largest since the first quarter of 2014, according to Vale. Vale believes the iron ore market remains well balanced at this point, as less supply is expected and as prices tend to find support above last year's levels. 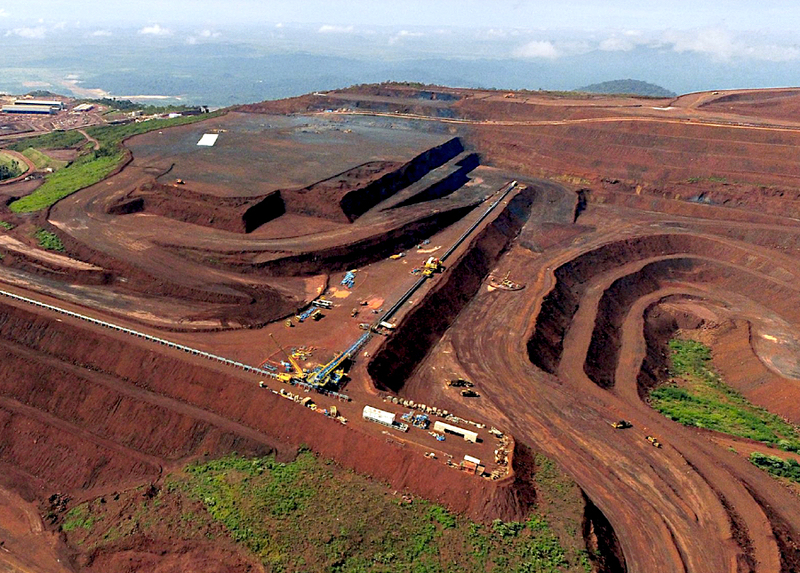 The miner had already announced a production record in iron ore of 86.2 million tonnes for the January-March period, which it credited to the ramp-up of its massive S11D mine in Pará, and the Itabirito project, in Minas Gerais. The figure however, was 6.7% lower than total iron ore output of 92.386 million tonnes in the prior three months, as seasonal rainfalls affected production. Outgoing Chief Executive Officer Murilo Ferreira believes the iron ore market remains well balanced at this point, as less supply is expected and as prices tend to find support above last year's levels, he said during a call to discuss results. After peaking in mid-February, the steelmaking raw material fell into a bear market earlier this month as steel prices dropped and warnings about oversupply reappeared. Some analysts, such as those at BMI Research, are predicting prices will continue to slide for at least the next half decade, hitting $46 a tonne by 2021. "The company is in a deleverage path and, in the next quarters, we will reach even better results", Luciano Siani Pires, the firm’s Finance and Investor Relations Executive Director, said in a video posted on Vale’s website. Despite the profit miss, the company is rewarding its shareholders with a $1.5 billion payment. Vale also said it had significantly reduced debt from $25 billion to $22.8 billion. Shares in the company were down 2.06% to $8.55 in New York at 10:00AM EDT, but year to date they have climbed over 12%. First quarter results at a glance. Source: Vale’s Q1 2017 results.